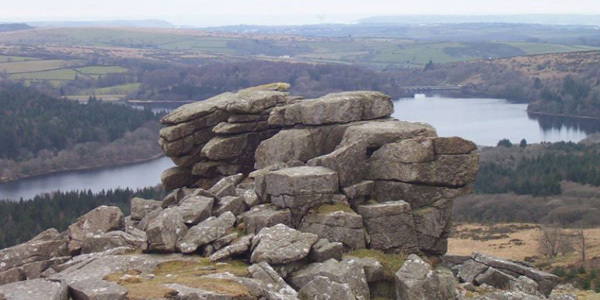 Dartmoor offers rare and endangered wildlife, natural and human geography, dynamic geology and ancient history. It is also a place of leisure for many people wanting to explore the wilderness as it is now. It is a haven for adventure sports such as Mountain Biking, Horse riding, Climbing, Running (Hashing), Kayaking or even Paragliding when the weather is perfect. These pages aim to appeal to anyone wanting to be inspired to visit Dartmoor, whether it be for a gentle stroll or an expedition to explore some of the less travelled parts of the Moor. The site has developed over the years and has now lent itself to a thorough indexing of interesting features on Dartmoor, not least the Tors and Bronze Age curiosities that can be found across the moor. You will find google maps plotting the location of anything that has been or needs to be visited. Hopefully a great resource for plotting your own Dartmoor expeditions. In summary these pages are dedicated to Dartmoor enthusiasts, along with additional articles and blogs that hope to reach out to all moorland visitors. Also provided is a little information on how to organise yourself before your walk and hopefully keep you safe whilst exploring the 368 square miles available to roam within the boundaries of Dartmoor National Park. These are in the form of helpful guides to ensure that your walks are well planned and documented for safety and ultimately your enjoyment of the Moors. The approach of planning your journey will enable you to delve deeper into the true beauty of the Moors. Use the drop-down ‘Walks’ menu at the top of this page to gain the self-guided walks list. The guides are simply that, and no more. You will find that you will want to deviate off track the moment you set off on your walk but just be sure you know where you are going. Inspiration for you to get out onto Dartmoor is all that I hope to achieve with these pages. Check latest Information about Dartmoor Range live-firing times. There is so much happening on the moors every day that a blog is potentially the only way to keep up with it’s changing dynamic nature. I’ll endeavour to report back as I visit and somewhere there will be something that works for you. Enjoy.